When you allow National Fire Fighter to assist you with your fire protection needs, you can be sure that inspection, testing, and maintenance of your equipment is performed properly while meeting local codes and required regulatory standards. One of the many ways we assist you with your fire protection needs is our new barcode management system. Ensures inspection and maintenance is documented for your OSHA, Fire Marshal, internal risk management, and insurance needs. 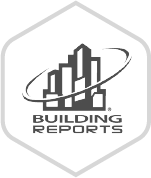 Allows for online 24/7 access to your inspection report. You can forget about filing cabinets and searching for old reports. Checks for recalled devices Date and time stamps scan of each device so you know when an inspector was inspecting each device. Forecasts future maintenance and servicing for the next three years, allowing you to budget for next year’s services. Gives National Fire Fighter Corp the ability to provide separate inspection reports for each building of your property. Ensures that you have access to an inspection report, not just an invoice. For more information, see BuildingReports.com.